Hey there! If you’re new here, you should know this blog post was written in 2016 and details one of my first (and definitely not last) blog posts went viral shortly after I started this blog and website. Since writing this blog post, blogging has become my full-time career. I managed to ditch my 9-5 as an Interior Designer working for someone else. Now, I make 6 figures a year blogging and helping other bloggers with their Stock Photography and Marketing needs. I owe a lot of my growth to Pinterest Marketing. 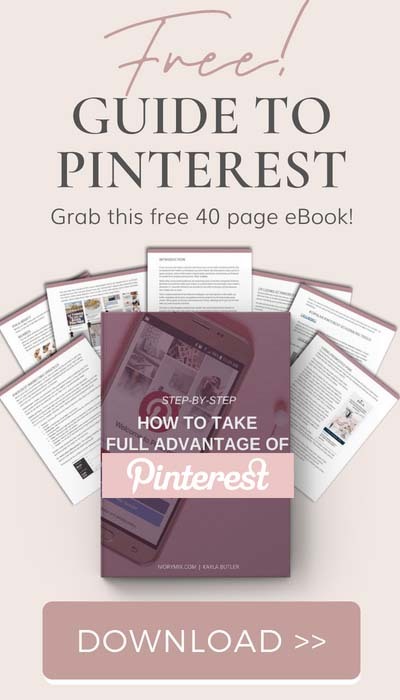 When you scroll through and read, you’ll see at the bottom of this blog post that you can get an even larger list of other more recent Pinterest related blog posts with more details about my growing Pinterest strategies. 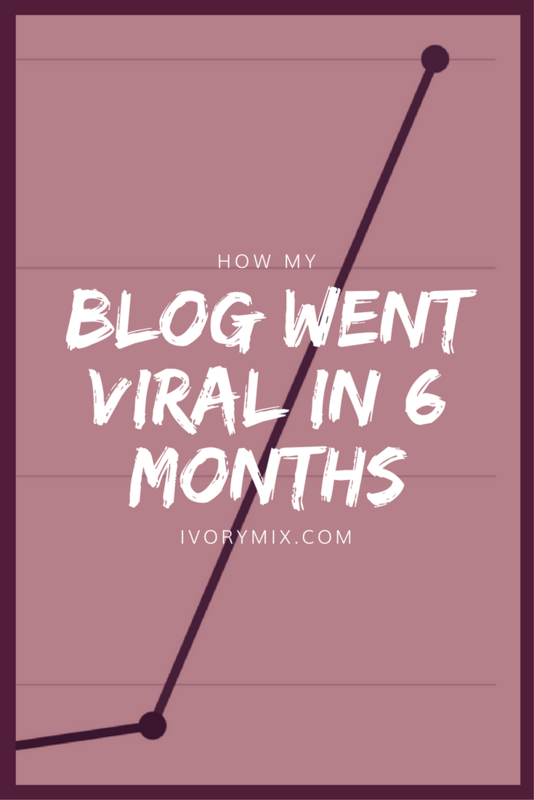 Ivory mix recently had a blog post go viral. It’s still going viral today with anywhere from 3,000 – 7,500 page views every day on that single blog post. Every time I look at the numbers coming in, I do a double take because it’s a little hard to believe that our small blog that started just 7 months ago, that was only getting 4,000 views a month, is now getting that same number of new visitors in a single day. Completely shocking! Or is it? That’s tough if you asked someone like me (or a blogger like you) because I’d probably tell you that I’ve been doing a lot of work behind the scenes of this blog. An I mean a lot! Every single day I wake up with a long list of new items and ideas that I want to tackle and the workload I give myself never seems to end. I just keep adding new ideas and new projects, and sometimes more than I can handle as one person. I’ve had a few small blogs over the years, but I consider myself just like any other small blogger. Like many bloggers, I’ve had a plan for 2016 and it’s coming together day by day, slowly by surely. 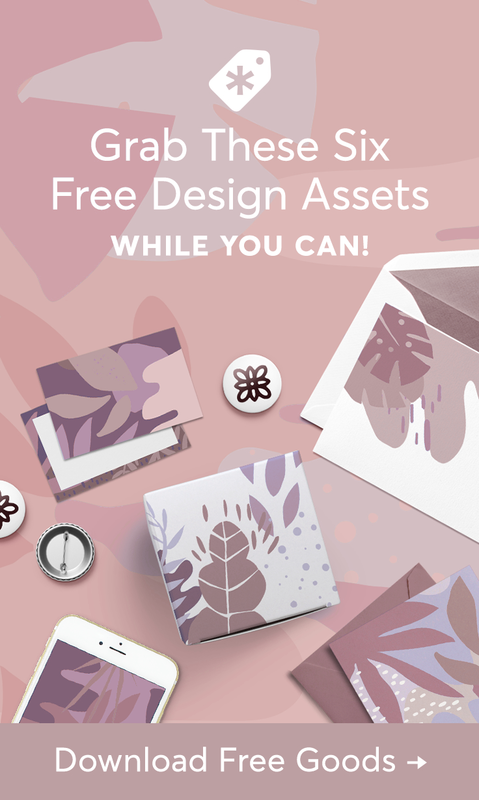 ♦ Starting and maintaining a free stock photo subscription service, and then recently…. What’s been accomplished and the next items on the to-do list don’t end there, but as you can see, I’ve been busy – like writing blog posts like this one. If you’ve never blogged before and are interested in getting started on a blog your own too, you should check out this quick tutorial on starting a blog. So, what exactly do I do to have a blog post go viral on Pinterest? Let’s look back to May of 2016. This is when I finally bit the bullet and chose to actually pay for some essential tools because our small blog, even though it hadn’t gone viral yet, was growing subscribers of 10-20 a day. Our email list was growing at a rate that had me realizing “Hey, I might run out of room soon” on my free plan from MailChimp and in probably a month or two – I will. 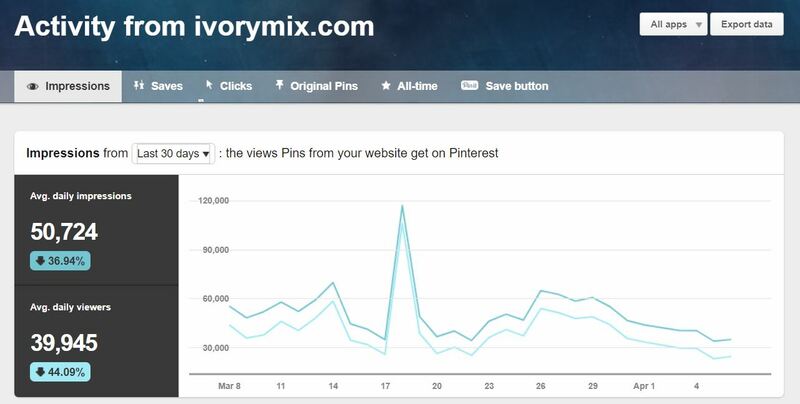 Since blogging and Ivory Mix has become my full-time job and I have over 21,000 email subscribers thanks to Pinterest! That said, I ditched MailChimp and moved to Seva (formerly Convert Kit) because it’s so much easier to use and segment my subscribers on separate lists for their individual interests. Since things were growing pretty well in organically in May of 2016 and Ivory Mix was gaining some traction, I felt I needed to step up my 2016 game plan and start paying for a few new tools to handle all the growth and hopefully take something off my plate and automate it. 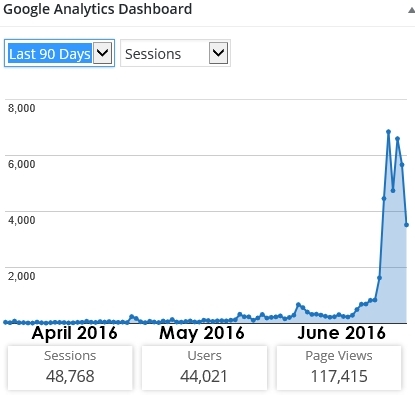 The first strategic blogging tool I purchased (besides a domain and hosting) was the one essential tool that I believe helped us make this small blog go viral. I recommend reading this blog post to learn how to pin your Pinterest pins. That one tool I purchased to take something off my plate was Board Booster. You’ve probably heard about it before, but if not, BB is a Pinterest scheduling tool that has a small monthly cost based on the number of pins you have it automate for you. Here’s their pricing structure below. I use other tools in conjunction with Board Booster, but for now, those other tools are all free. You can see that Board Booster’s service was initially free with the trial version, but once that trial was up, it was a no-brainer to start paying because of the results I was getting plus the automation helped me take a lot of work out of manually pinning on Pinterest. So, I recently upgraded board booster to a $10 a month plan for 1000 total pins because I was going over my initial budget of pins anyways! I wouldn’t give all the credit for a viral blog post to BB though. 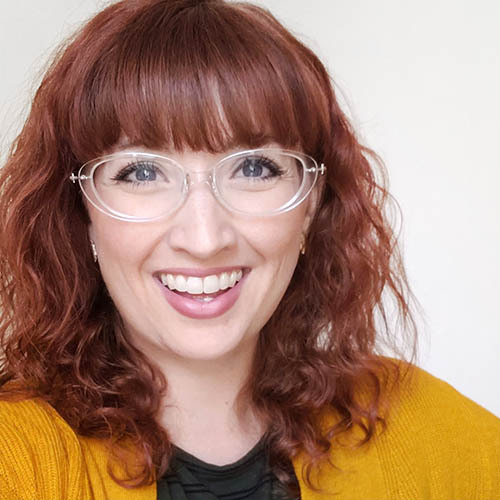 Like I mentioned, you and I put in a lot of effort into our blogs and before this happened, I did many things to Pinterest that has helped it grow – like joining high-quality group boards, maintaining fresh and unique visuals, and optimizing Pinterest in general. What I’ve learned about BB is that it is only as good as your pin images, your keywords, and your boards. Having a clear strategy for those items is probably what helps me make Board Booster work well. To help shed some light on the strategy, let’s dive in a little deeper into each thing we’ve done in conjunction with Board Booster. 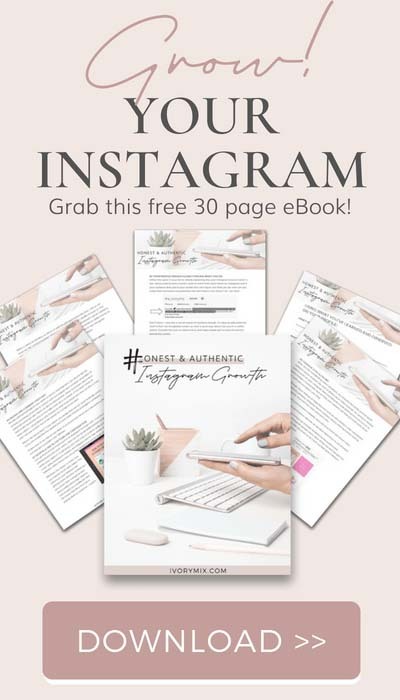 The one thing I would advise any blogger who’s looking for more traffic from Pinterest is to join a few group boards that have high-quality pinners and lots of followers. It’s those extra followers that you get on group boards that help expose more people to your pins and your blog content. However, if the group board is a lower quality board with too many pinners and bad pin images, that fantastic stuff you’ve been working on is going to get lost in the shuffle and you won’t reach as many of the ideal readers you’re looking for. Before getting Board Booster, I made sure my Pinterest was set up for Rich Pins, but I also optimized my Pinterest Graphics to be longer, rich in color to catch the eye, and with plenty of keywords in the descriptions. 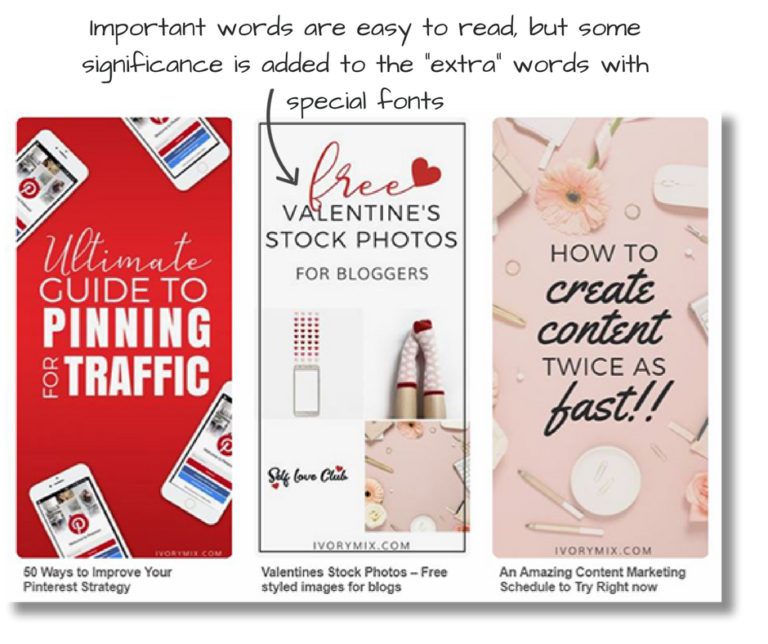 I also made just two or three Pinterest graphic templates on Canva.com that I can reuse and repeat over and over again for every blog post. I change out the text and background images to keep things fresh, but you get the point. 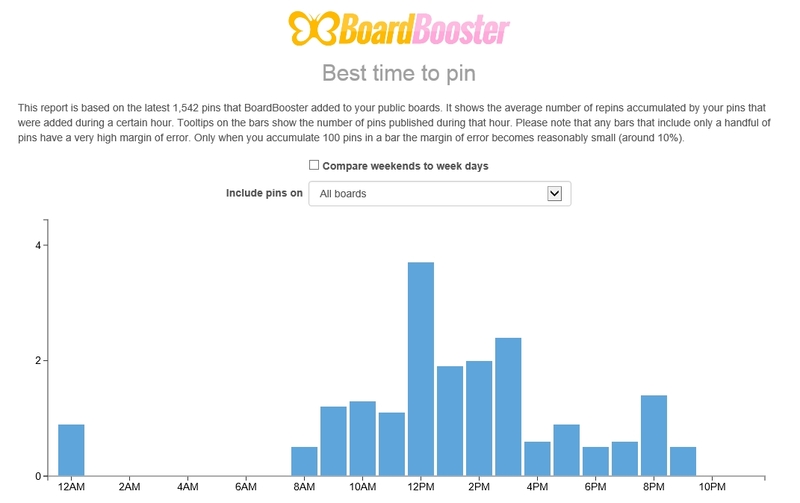 Having Board Booster has also helped me track which types of pins are performing well, and which ones aren’t. This helps me understand which pins I might want to use as a template and which ones I shouldn’t. 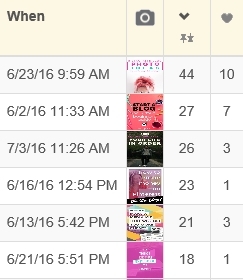 You can see on the screenshot below, Board Booster has shown me which pins recently had the most repins and likes. Some of these are from my blog and some are from other blogs. Looping is a fairly simple tool on Board Booster that takes pins on your existing boards and “repins” them for a short time set by you. The idea is that it takes stuff you’ve already pinned and made them new again without any work on your end (set it and forget it). This type of tool and strategy is good for people who are short on time (like every blogger I know). You don’t want to have to pin manually to your Pinterest boards when you could be using that time on other tasks and that’s why looping is pretty awesome! The scheduler on Board Booster will schedule pins for you. You simply pin a bunch of new pins from your blog or from other blogs onto a secret board that board booster makes for you. Then, BB will pull those secret pins at a specific time set by you and it will pin them on the real boards you want them to go to. 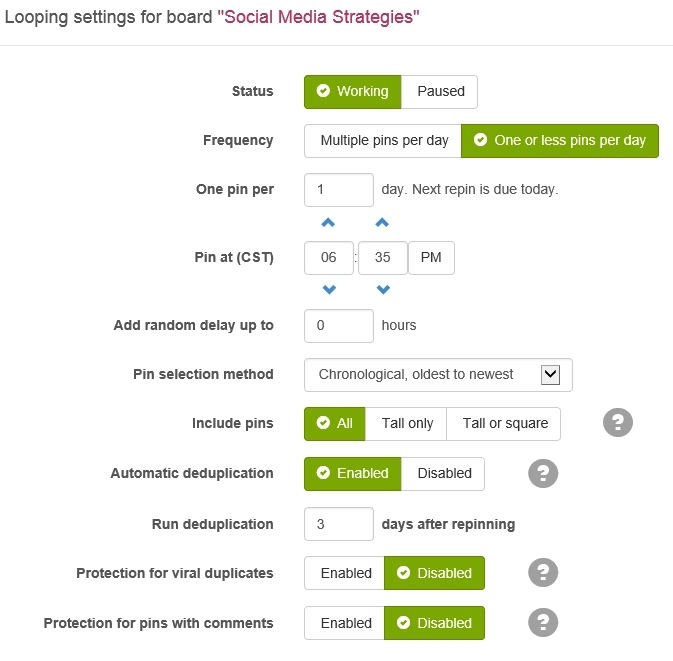 A Campaign is much like scheduler on board booster, except it will pull a pin from one secret board and post that same pin on multiple live boards at different times or on different days as you set it and forget it. I use this tool for NEW blog posts that I want to put on multiple group boards and personal boards. I plop a new pin from the new blog post on the secret campaign board and it does the rest by pinning it over and over for me for the next few days. You may be wondering if that’s it. . . is that all I do to grow the blog and have viral content? No, there are quite a few other things I do to promote and grow the blog, like network in Facebook Groups (like the one we have), and stay very active on other social media platforms like Instagram and Twitter. 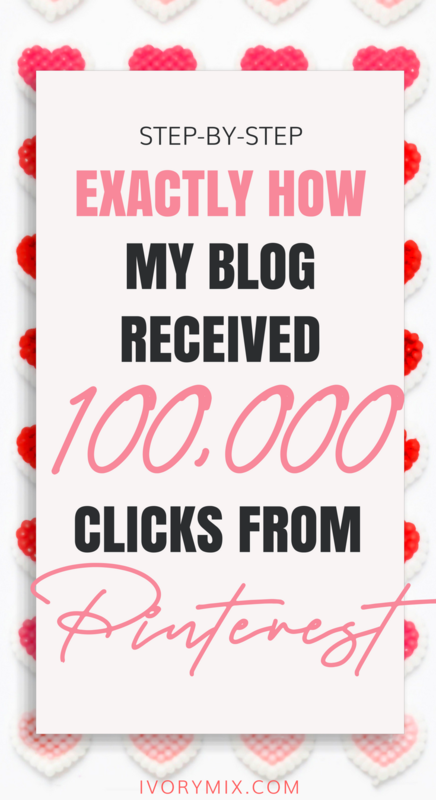 However, this one blog post that went viral was because of Pinterest and Board Booster. You can see on the graph below that impressions and views on our pins didn’t really start growing until I used these strategies I described – and for just a few bucks a month that has ended up paying for itself, I couldn’t be happier with the results! Have you had a post go viral? Share your story and your tips for others in the comments below! 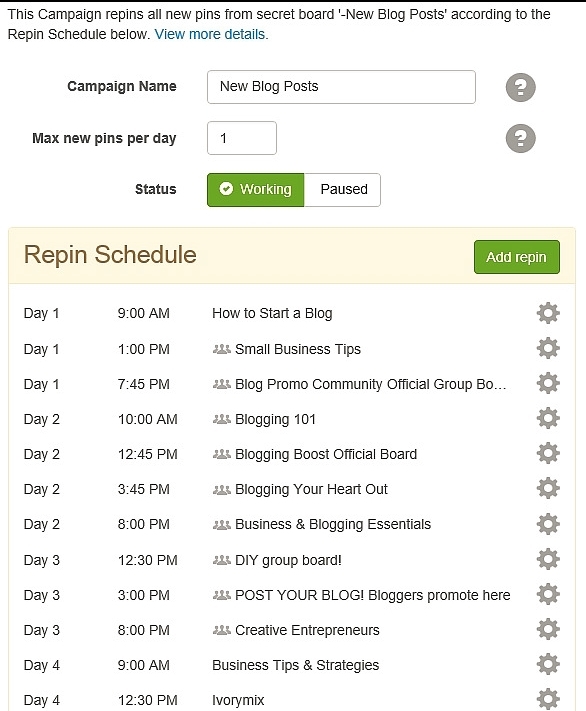 How I automate my pins on Pinterest. How these essential tools and Pinterest helped our blog go viral! I think I got confuse. You said BB was $10, but then at the end that iwas a bargain at $5. Which is it? And thanks for all this info. I like the dark pink in all this white. Hi Katherine. Board booster starts at $5 for 500 pins a month. I eventually upgraded to a $10 plan for 1000 pins a month. This is a great post. I had heard of board booster before but this is good information on how to use it. Thanks. Love love board booster, it has helped me grow as well! That’s great Julie! I think it’s pretty amazing how a little $5 tool like this can help so much. Good work Kayla! I’ve had great (although not viral) luck with Boarbooster both for my personal & company blogs. Couldn’t hurt for the small cost! It’s been so helpful. Now I don’t have to manually do my pinning! It’s going to make a world of difference! Great post! I’m just 2 months into blogging and have seen some growth, but I need more! I’m excited to get started with my Pinterest strategy in the next month or two. Thanks! As someone who is just getting started on Pinterest, this post is very helpful! Thank you! Wow, this is the second article I’ve read today about Board Booster. I’m totally convinced now. Thanks for such a helpful article on how to best use it! You’re welcome! It’s definitely a useful and worthwhile investment ? Congratulations, great tips for Pinterest. Those are great numbers for a new Blog. Thanks for the post. I keep reading about board booster. I will definitely have to give it a try. Building an audience for my new blog has been the most difficult aspect for me. Board Booster is very popular right now. I might have to get on board. Thanks for the tips!